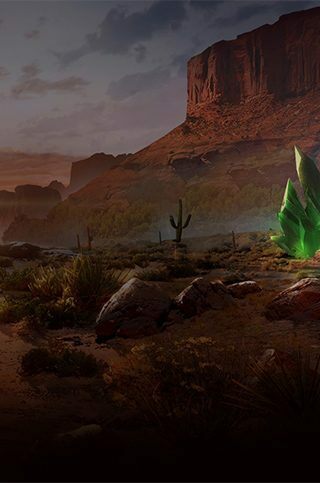 I’m excited to announce that Spectator Mode is coming in January, as part of Redwood Studios’ ongoing competitive commitment to Command & Conquer: Rivals. This feature is essential for broadcasting professional Rivals esports tournaments, but that’s just a tiny piece of the puzzle. Spectator Mode is primarily designed to empower the Rivals Community to host your own tournaments — and to have the match perspective needed to watch, learn and improve your own in-game ranking. 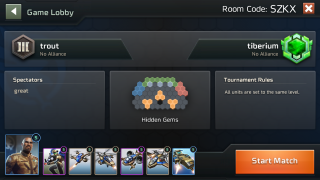 See everything with a new custom HUD: For the first time, you’ll be able to watch Rivals matches from a neutral perspective with both deck loadouts in full view. 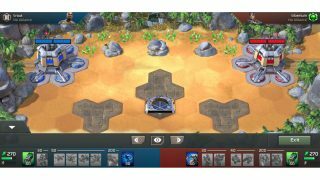 Watch two players battle it out without playing yourself, and see all units for both combatants, including their availability and real-time cooldowns. Toggle Fog of War perspectives: See the whole map with Fog of War turned off or toggle the fog to see the battle from the left or right player’s perspective. Bask in the glorious new battle clock (top-middle of screen): It’s not really that exciting, but for those who enjoy breaking down their Rivals games, this is super-useful. You can now note and discuss in your alliance what happened at exactly what time in the match. How quickly should you deploy your first tech lab unit running a meta deck? Watch what Tiberium players (or your Alliance mates) do and note for yourself a better way to play. We can now also easily track Tiberium efficiency and how fast and effective players are with unit deployment. See it all in C&C TV: As we built Spectator Mode, we looked for opportunities to leverage the improvements in other parts of the game. The biggest wins come in match replays, which now have all the bells and whistles of Spectator Mode. So how, you might ask, do you use this spectator thingy? You can now create a custom match as the “match host.” Doing this will generate a four-digit code that appears in the upper-right of the screen. Give that code to others, designating them as “spectators” or “players.” You can only have two players (obviously), but you can have multiple spectators, including yourself. 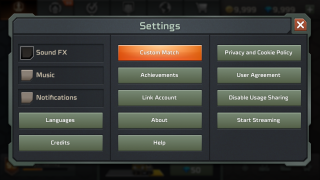 You can also designate yourself as a player even if you are hosting the custom match. As the host, you’ll see everyone’s status and can kick off the match when the moment’s right. 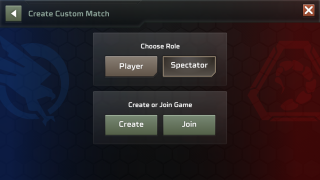 Choose your role (player or spectator) and choose whether you’re creating the match or joining it with a code. 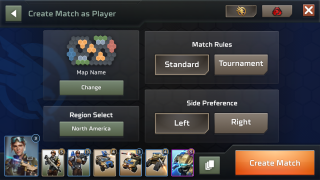 When creating a match, you’ll select the map (or random map), the match rules (similar to Alliance battles) and the server region you want the battle played in. This is in case the host (often a tournament organizer) is in a different part of the world than the players themselves. 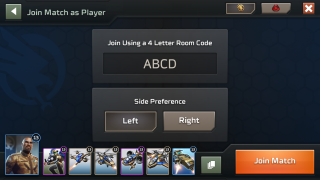 When joining, enter your four-digit code and select your faction, deck and side preference. If both players select the same side, the first to make their selection will get their preference. As the host, you’ll see everyone’s status and can kick off the match when ready. As a non-hosting player, you’ll just wait for the host to start the match. Big note: You need to select your deck BEFORE tapping “Join Match.” There’s no going back! Whether you want to watch from a new perspective, play in front of an adoring public or host a community tournament, we hope these related features give you some of the tools you need to have a great Rivals experience. This is only V1 on these features, so let us know what you think on Reddit or Discord, and we’ll incorporate your feedback in future updates.